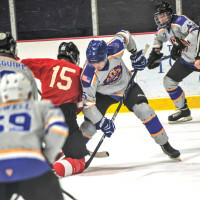 The Luke Thunderbolts Hockey Club was launched in February but has already made a name for itself in the Arcadia Summer-C hockey league. With a record of 8-1, the regular season wrapped up last week with the first semifinal game July 6. 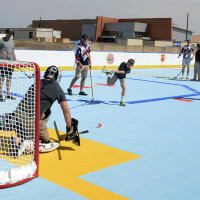 The club’s first skate was held in late April at Arizona Ice Peoria…. 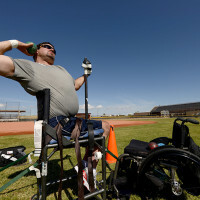 Rugby is an often misunderstood game in the United States. It has a well-earned reputation for toughness and high athleticism, but also for foreignness, as evidenced by the stark contrast in the sport’s international popularity with its virtually non-existent presence in major American sports media. 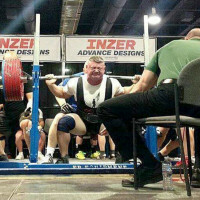 A programs monitor with the 56th Equipment Maintenance Squadron at Luke Air Force Base, Ariz., received first place at the Mr. Olympia Pro Powerlifting Invitational at the Las Vegas Convention Center in Nevada, Sept. 17, 2016. 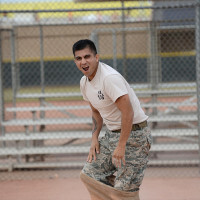 Air Force photograph by Senior Airman Devante Williams Markeith Wimbush, 56th Security Forces Squadron, runs towards the first down during an in intramural flag football game against 56th Equipment Maintenance Squadron/AMMO Sept. 16, 2016, at Luke Air Force Base, Ariz. SFS defeated EMS/AMMO 7-6. 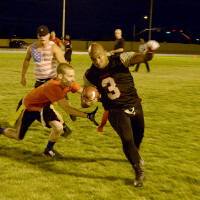 Flag football season began at Luke Air Force Base, Ariz., Aug…. MACDILL AIR FORCE BASE, Fla. — Inspiration for the modern marathon, a 26.2-mile race, stems from military origins. Legend tells of a Greek soldier who ran from Marathon to Athens to deliver news of the defeated Persian army. 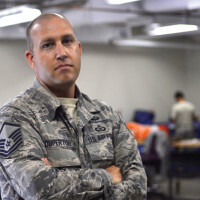 More than two millennia later, one Airman at MacDill Air Force Base is writing his own story….